This ride is awsome. Me and my other coaster buddys love it. I enjoy it very much. I gave superman a ride and he gave me a great view from 210ft up to start then lanched me threw his first tunnell, gave me some great air time then surprized me with a shot of mist threw his second tunnell and ended the date with somemore airtime and a sudden stop just before the launch pad so that the other eager riders could see the joy in my happy face that they would experience next. This ride is insanely intense from beginning to end. It has EVERYTHING...steep drops, airtime, direction changes, tunnels, bone-crushing helices. Is there anything this ride doesnt do perfectly? Plus the ride is great in the front or the back! The Intamin cars are very comfortable, and the lap bars allow for extreme airtime. This is coaster perfection. 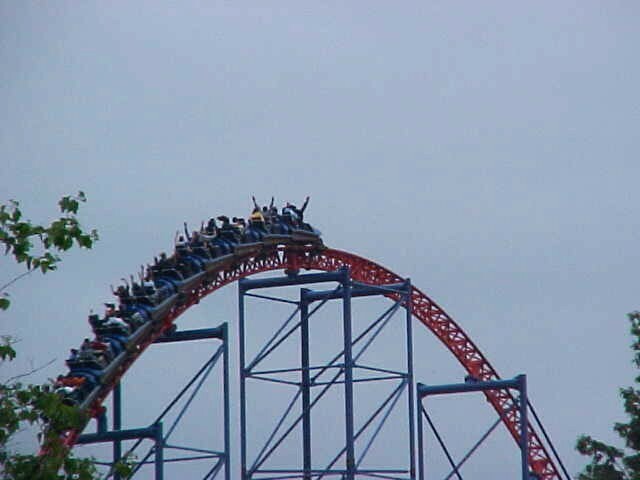 While this coaster was recently topped by El Toro in my top 10, Superman is a very, very close 2nd. A great steel coaster! The second hill is the best in my opinion. The air time on that thing is amazing. The whole ride is great. Too bad it has to be at a Six Flags part where you have to wait for eternity. The best coaster in the world! Nothing could beat this hypercoaster! The airtime and layout is superb!! THIS RIDE IS PiMPiN. its kinda scary but im not a chicken shiess either! roll out baayyybee! i went on it like 20 times since it opened.. its the BESSTTT! There is only one word to describe this coaster....AMAZING. When I got off Superman for the first time, I could hardley walk. I was so amazed at how good this coaster was. I prefer the back seat when riding superman. The airtime over that first hill is unbelievable. The mist-filled tunnels are also great. 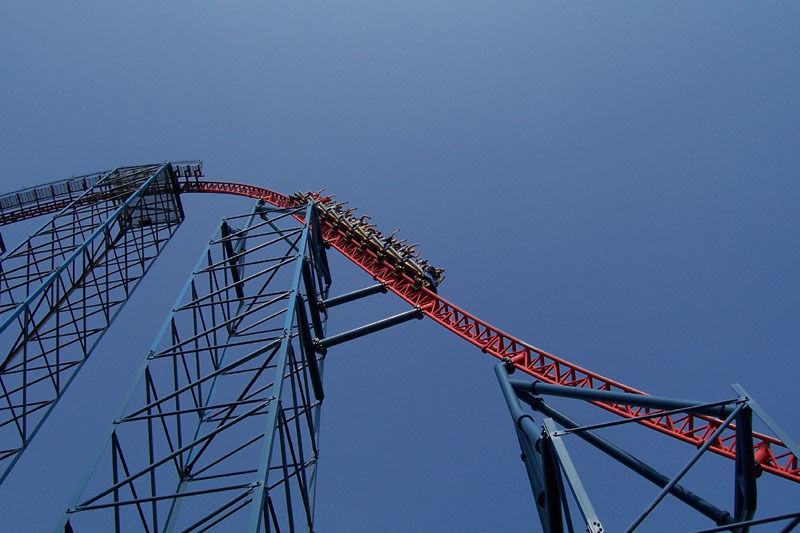 If you ever get the chance to go to Six Flags New England, head straught for Superman. Its an experience youll never forget! This is a truly spectacular coaster, it really surprised me (being in New England, I always figure that any good coaster is 1000 miles away). The initial climb is spectacular, with a glorious review of the connecticut river and the park. Sit on the left side to look straight down over the water -- freaky. The ride is fast, smooth, well designed, and has a LOT of variety on the trip. Everything from a vicious drop into a mist-soaked tunnel, onto high-G turns and incredible negative-G bunnies. 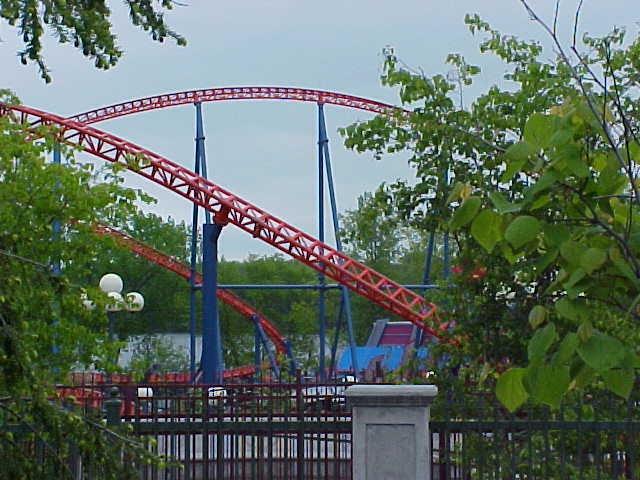 Its biggest success is the fact that the incredible initial drop is NOT my favorite moment, despite how awesome it is. Its the twisty high-G turns and banks on the second half of the ride. Awesome. I think hyper coasters have become my favorite type of ride anywhere since I already have 3 or 4 in my top 10 and I cant help but give this a 10 either. Ill always be the bigger fan and love B&M more for their hypers, floorless, and inverts, but this is one wild coaster that tries to rip you from the seats! The bunny hops are crazy fun and the two drops into the tunnels are great headchopper effects and this has probably the best airtime Ive ever seen from a coaster. I hope Intamin keeps coming with these types of designs and maybe they could beat B&M!